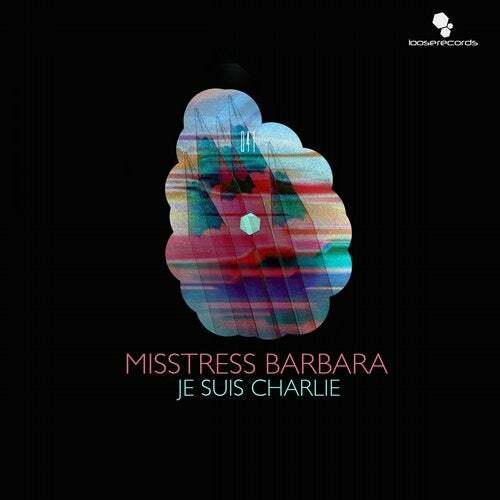 Misstress Barbara marks a triumphant return to her techno roots with the EP Je Suis Charlie on Loose Records. After a career that has spanned a diversity of genres, ranging from international DJing, underground Techno productions, singer-songwriter albums to movie soundtracks over the past 19 years, Misstress Barbara has followed her latest nomination for Best Show in Foreign Language at 2013 ADISQ and the award for Best Montreal DJ in 2014 with four new tracks that testify to a lasting talent in the electronic music medium. Her full schedule of new projects and DJ gigs at her favorite festivals and clubs leave no doubt that Misstress Barbara has much more to offer this scene she loves so much. Je Suis Charlie - A heartbeat at running speed gets this track going out of the gate, racing over chattering mechanical effects and creeping vocals to invite a darkness that knocks around between echoing caverns here. The rising trance-inspired background takes things to a crescendo at the mid-way point, speeding things up to thoroughly danceable highs all the way to the outro. Together - Light-footed, wild backgrounds subvert what would usually be a casual thrumming intro on this track, opting instead to shoot off into rocky-nature effects under hollow tubule sounds. The song escalates on echoing voices (from Barbara herself), that stay upbeat over watery-sounding backgrounds, building on itself beautifully by finding new highs on billowing mountains of sounds that are at once ghostly and triumphant. Delilah - The first track on the EP bounds into a high-hat-infused rhythm that simultaneously provides a party-starter as well as a testament to sophisticated experiments within the techno genre. Subtlety is brought to movements that are usually reserved for dance hits, yet never sacrifice arrangement for fun as listeners are lifted into new and fascinating places, all under the guidance of a master in her element. Believe - Low grooves start off beneath soothing female vocals (from Barbara herself), on this track, laying the middle ground between quickened maracas and baser groundwork. While this would be good enough on its own, the track then takes a surprise turn into some 80s-inspired territory, where video-game effects begin to rise for a techno sound that is a joy to hear on the varied palette of sound. The exploration is only pushed upward from here, quickening a pulse that still maintains the more ethereal elements through to the end.